Charlotte Tilbury's Hot Lips range of lipsticks is inspired by the most iconic women of our times. The formula is exactly the same as Charlotte Tilbury's Matte Revolution lipsticks, reviewed here. I only picked one - and if you haven't guessed that it is either a dusty or mauvey pink, then you don't know me at all. Scroll down for the review and swatches of Charlotte Tilbury Matte Revolution Hot Lips Lipstick in Secret Salma. As I said, Charlotte Tilbury Hot Lips are very similar to the Matte Revolution range - the tube packaging and the shape of the bullet are exactly the same. Only the external box differs. Formula-wise, Charlotte Tilbury Matte IS a Matte Revolution lipstick, for all intents and purposes. I have already told you my thoughts on the Matte Revolution formula, pigmentation and staying power here. The shade Secret Salma was inspired by Salma Hayek, of course. 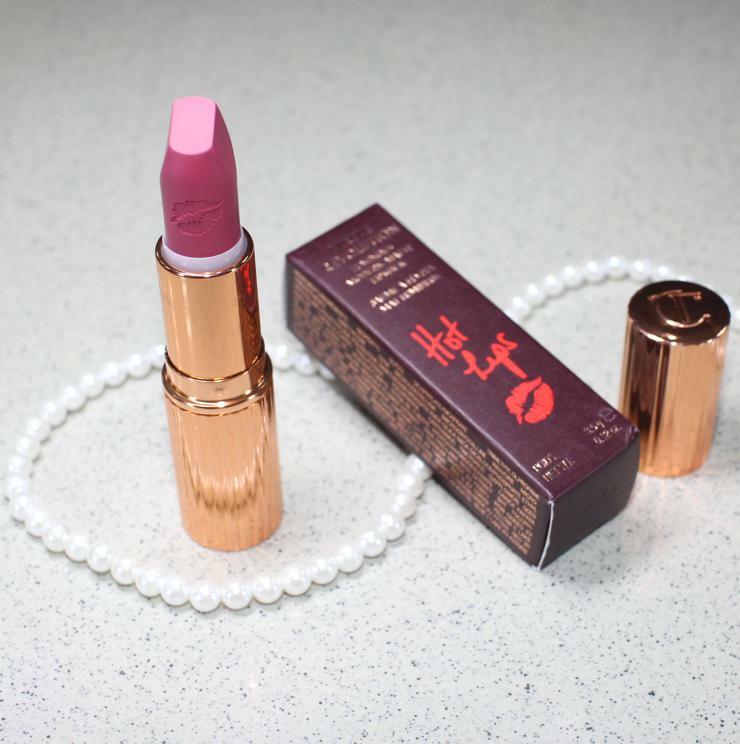 Charlotte Tilbury describes it as a "rosy plum". On me, it is a medium-deep mauve. On Charlotte Tilbury's website, the on-lips swatch of this lipstick is very deep; I had expected a fuchsia-berry and actually bought this for my Mum! The lipstick bullet is not as deep as all that. And, all the swatches I've seen are showing a wearable, mauve tone that will be universally flattering. 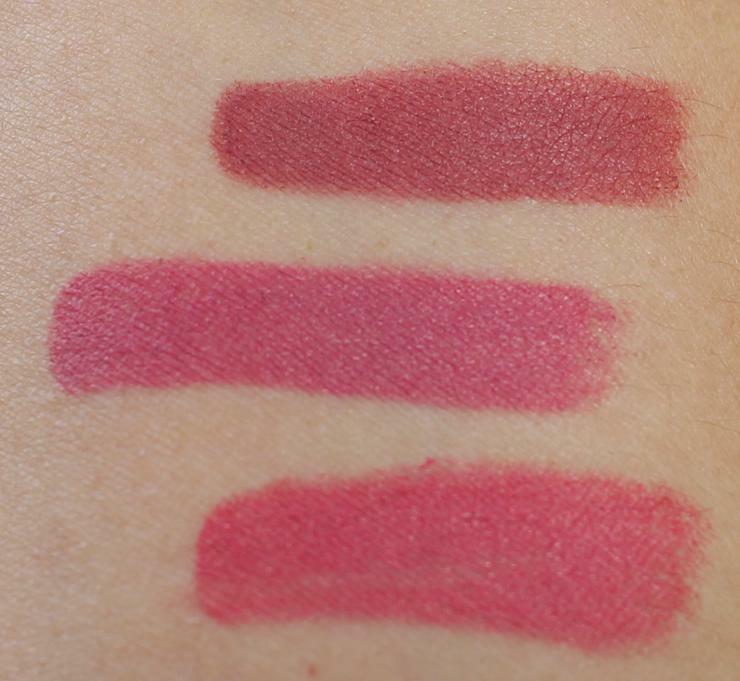 Here are comparison swatches of Secret Salma (middle) with Amazing Grace (bottom) and Bond Girl (top) - the former is "my" kind of pink while the latter is much deeper than my usual shade. 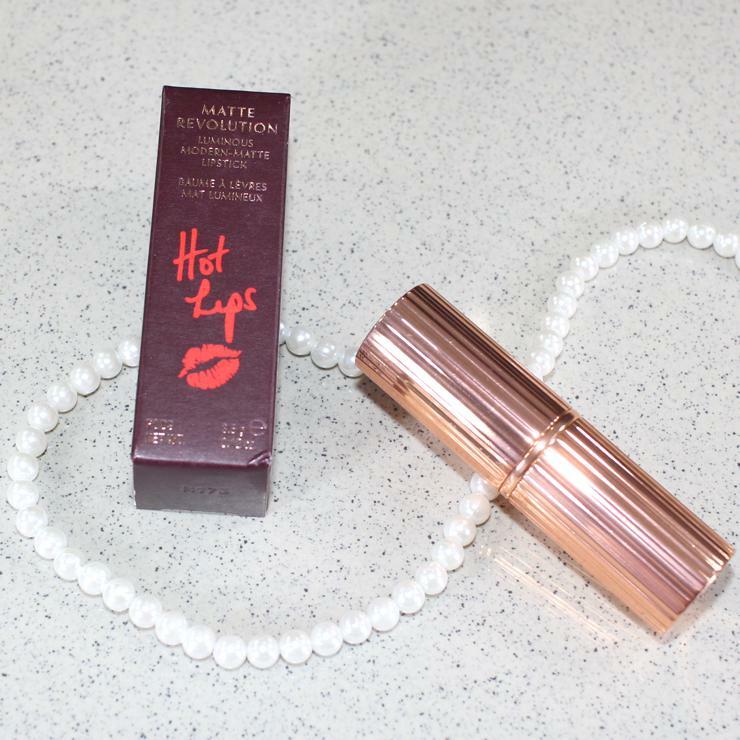 I loved the Matte Revolution formula from Charlotte Tilbury and was excited to hear about the new Hot Lips shades. They are not dry-matte lipsticks, but creamy-matte ones. Secret Salma is the right shade if you like mauvey or pink tones and prefer subtler hues. This is a universally flattering, not-too-pale, not-too-deep shade. To buy Charlotte Tilbury Matte Revolution Hot Lips Lipstick in Secret Salma, go here - they ship worldwide. Or, buy from Nordies here. The lipsticks cost £23 or $30.